Hello Friends! Tonight’s feature image is titled “Logging Dog”. If you’reinterested in a copy please use the contact instructions at the bottom of the page. Somewhere in the distant past the forest echoes with the voice of the foreman mingled with either the whine of chainsaw motor or the thump of axes being driven into the boles. The crackle of limbs breaking and thunderous crash echoes through the mountains as a giant falls to the earth. The tree lands with the precision of a master archer’s winning bullseye. The lumber will go to mill where it will become part of School, home, church or any number of beloved objects made from wood. Worn out by the heavy labor the lumberjacks begin to gather their tools leaving the undergrowth to mature for the next fifty years or so. When done properly the harvest will actually improve the overall health and diversity of the forests and for now the last mature tree has been taken. And beneath the broken limbs and scattered leaves there are artifacts left behind. Fast forward a few decades and you’ll see my father improving a trail that cuts through the back of property. He spots something in spoil cast aside by blade of his tractor. The short section of heavy chain has a spike on one end that’s designed to be driven into a log like an anchor. The artifact is called a logging dog and it’s used to drag logs to landing where they are loaded into the truck. It was a valuable tool for whoever left it behind but now it’s a treasured conversation piece in my Dad’s collection. It makes me wonder why we are drawn to things like warped and weathered wood or rusty chunks of metal. Sometimes it’s a lost item like the logging dog or the axe head that I found in the same area several years before he found the chain. Other times it’s a discarded item like an antique soda bottle that a camper no longer needed. Such things as old canning jars and antique medicine bottles have a value on the open market. There was a time when a young man person could excavate a makeshift dump and carry out a little spending money in the form of unbroken glass and rusted iron. Recently I rediscovered a rusted item that I pulled out of the creek. The photos I posted on a Facebook Forum are below. Whatever it is it has the same appeal as the logging dog. It’s a connection to the past. It was a part of someone’s everyday life and witness to history. I enjoy keeping my eyes open when I’m nearby old job sites and forgotten places. Nice finds like antique blue mason jars are going to be a pretty rare find these days and most of stuff I spot aren’t really worth picking up except to dispose of it properly but occasionally I find something unique enough to at least try to figure out what it was when it was new. If you’re enjoying my blog and don’t want to miss a post then you can sign up for email alerts on my website. Have you checked out the Zazzle Store? I’m now using Zazzle to fulfil orders. What this means for you is a secure way to place an order, discount codes & a broader product selection! Simply message me on Facebook or use the contact form on my website and tell me which image you want and I’ll reply with a direct link to where you can place the order. Lastly, all of the photos and writings are my original work unless otherwise specified and are not to be copied or reproduced without expressed written permission from the photographer. Hello Friends! Tonight’s feature image is titled “First Bloom”. As with all of feature images on my copies can be purchased by following the instructions at the bottom of the page. Tonight we’re having a little cold snap and as expected there is ice, snow and cold rain all on the same day. But I’m actually encouraged by the turn in the weather because historically there’s always a couple of snowy days before winter actually ends. Today’s snow means there’s only one or maybe two snows left to deal with. The next sign will be the emergence of the Serviceberry. Also known locally as Sarvis tree Serviceberry is probably the first thing to bloom in the Appalachian Mountains. As I understand it, the name comes from the old days when traveling during the winter months dangerous at best. Oftentimes when a person passed away in the winter the body was burried whenever it could be and the memorial service was delayed until Spring. There was little in the way of flowers to bring to the grave and thus the bloom of the Serviceberry tree filled the need. The tree would have been planted near churches and graveyards to ensure that flowers were available for those who came to the service. There’s other stories about how the tree got it’s name and there’s a long list of names for this family of trees. If I remember correctly from my forestry classes ( 20 years ago) the trees do hybridize frequently making exact identification of species and strains best left to tree nerds. Because of the early bloom these trees are an important source of food for honeybees. It’s a mistake to think that honeybees sleep the winter away. They are busy all through the winter keeping the hive warm with their bodies and that means that they need fuel. A quick Google search says that a hive might need as much as thirty pounds of honey to make it through until Spring. TALK ABOUT A SUGAR BUZZ! By the time the weather warms up they’ll be ready to resupply and a good crop of Serviceberry bloom is just thing to tide them over until the rest of the flowers wake up. Honeybees feed the world so if you’re the kind of person who plants ornamentals and your local environment will support Serviceberry then you can do something that will actually make the world a better place by planting Serviceberry. Not only will you feed the bees that pollinate crops that feed the world but you’ll be rewarded with crop of your own. The Serviceberry fruit is edible and delicious! When I was a kid we would eat the raw when we could beat the wildlife to the berries but there’s a whole list of puddings, pies and preserves that use the berries. I’m betting that some of my fellow Appalachians have some wonderful stories about picking Serviceberry fruit in late Spring and early Summer and I’d love to hear about your memories in the comments! 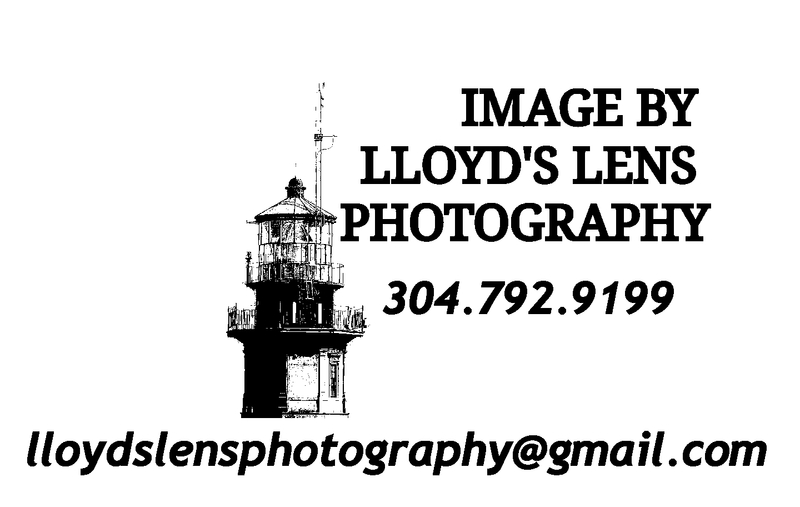 If you’re reading this in one of the Facebook groups that have comments turned off then come on over to the Lloyd’s Lens Photography page on Facebook and tell me your story there. The weather is bad outside but we can look forward to seeing those delicate white flowers soon. The feature image for this post was taken in the last week of March a couple years ago. I have new way for you purchase photos! Lastly, all of the photos are my original work unless otherwise specified and are not to be copied or reproduced without expressed written permission from the photographer. Nothing brings to mind the carefree days of childhood than skipping stones. Before cable tv, before the internet and before Fortnight we would hike down to Collison Creek where the stream was just wide enough to make a flat stone bounce and skip along the water’s surface. It wasn’t really wide enough to go for long distance. Making it to the other side of the creek was fairly easy so we got creative. In some spots the water flows around large rocks that made perfect bumpers. The object was to play the bank shot by skipping a stone into the bumper and making it land in a certain place. Sometimes we could get one to skip on the rebound after bouncing off of the bumper stone. Other skipping stone games involved landing a stone on a sand bar and a second player would try knock it off with his stone. This one lead to another incarnation that we called “soldier’s fort”. We would wade out to the sand bar and stack rocks like cairns. Usually the stack was only 2 or 3 stones high. Then twigs were gathered from the forest floor and stuck in the sand like a palisade. The object was to crash through the wall by skipping a stone into it until you could knock down a stack of rocks. We never really kept a score. It was all about finding something to do in an age where you had to create your own fun. All images are original work of Lloyd’sLens Photography. If you would like to purchase a copy please contact me using either of links below. The winter winds whip across the three rivers as the steam rises up from my morning coffee. The wintery scene makes me feel like I’ve woken up inside if a snow globe. If not for the fact that I’m on my way to my day job I’d engage the four wheel drive and just idle my big blue truck through the Appalachian Mountains looking for magical places to just sit and watch the snow. The mists and snow seem to merge together as I begin to set up the shot making it look as if the other end of bridge disappears somewhere beyond the known world. For a moment I’m tempted to call off from the day job and allow my inner child to explore the frozen wilderness. I know that if I travel beyond the bridge and up Gauley Mountain there will be frozen waterfalls with long icicles hanging from the painted sandstone cliffs. There will be little alcoves formed by snow covered bent trees that bright red cardinals play in. Across the forest floor squirrels bounce from tree trunk to tree trunk trying to remember where they stashed their acorns. It was just about that time that the real world recalled me from my daydreaming and I eased my big blue truck back onto the main road. Some cropping may be necessary for certain sizes. I’m also available for portraits by appointment. Use the Contact Form or message me on Facebook. When I was very young putting up hay was a way for most young men to make a little spending money. A person could drive through the country at certain times of the year and the fields were lined from one end to the other with rows and rows of square bales of hay. The farmers would be seen with huge stacks of perfectly compressed blocks of cut and dried grasses of various types towering over tractors or pickup trucks on their way to a barn. It wasn’t really uncommon to a couple of the older boys riding on top of the stack as the vehicle drifted carefully across the fields while two more boys tossed more bales up to add to the stack. The unloading process was just as laborious with the boys on top of the stack tossing the bales back down or directly into the barn for storage. Sometime in the late 70s or early 80s I started seeing the large round bales like you see in the feature image. My grandfather began remarking on how his poor cows wouldn’t be able to have a square meal. The iconic large stack of square bales disappeared into the past. ( I’m sure that there’s still some around however I haven’t seen it for decades). The crew of three or four teenage boys was replaced by a tractor with a fork lift attachment. The round bales turned out to be a be a better deal for the farmer because of the labor costs but every time I see the round bales I get nostalgic for the view of acres and acres perfectly lined up rectangular blocks on contour with the landscape. I’m also available for portraits by appointment. Use the Contact For m or message me on Facebook. The Kanawha River is often turbulent in this spot. There’s days when it climbs up out of it’s banks and threatens to wash away everything and we would be powerless to stop it. But every other day it’s calm and peaceful. Most days it’s a great place to sit down and enjoy life. You can fish or if you’re observant you might spot a bald eagle or an Osprey in this spot. In the Spring violets dot the landscape with blues, purples, reds and yellows. The songbirds are abundant here as well. As I look towards the distant shore beyond the falls it’s hard to think about the raging waters that have been here and will come again. It would be easy to look at the little park at Kanawha Falls (or any other body of water) and live in fear of the next stormy day and the rage of nature but then we would miss the beauty on the good days. Life is all about perspectives. We can focus on the good times or the hard times. Both are going to be present. But if we are focused only on the hard times will miss out on beautiful times in between the storms. I’m also available for portraits by appointment. Use the Contact For m or message me on Facebook for details. For me, there’s nothing quite as calming as simply looking out over smooth water. Even if it’s from the cab of my big blue truck with heater running full blast. All the little nit picky stuff just seems to float away with gentle movements of the river as I become lost in a world of reflections. It’s not as easy to spot in the feature image but there’s a log out in the middle of Kanawha River at Glen Ferris West Virginia that I’ve dubbed “The River Monster Of Glen Ferris” after the Loch Ness Monster. Mostly because of the graceful arch of the branch that breaks the surface. As gaze at the lines and textures of bushes and trees there is a rhythmic noise in the distance followed by the long drone of the air horn. The single light that rounds the bend belies the train as it makes it’s way up river to places I can only view as part of a larger landscape. The winter setting brings on the early stages of wanderlust as the train passes. My mind’s eye fills in the blanks with spectacular scenes of high canyons and cascading water surrounded God’s handiwork. There’s huge majestic virgin timber and painted sandstone cliffs beyond the little fishing camps that dot the banks of New River. I have been through parts of the canyon in a boat that takes you from Hawk’s Nest Dam to the New River Gorge Bridge but I always felt like I was just passing through the Gorge instead of exploring it. In some ways I’m envious of my ancestors who could load up a boat and take their time as they paddled along the banks. I imagine a young Daniel Boone or Rene La Salle as he and his party surveyed the wilderness making sketches and taking notes in the margins. The train’s air horn wakes me up from my daydream and recalls me to the modern world. The clock on the dashboard of the big blue truck says 8:05. The time for mentally exploring lands unknown has come to end once more. I take a moment and raise my lens to capture the moment preserve my imaginary journey for another day.